Have you ever tried Coca-Cola with a steak? Or coffee? How about a margarita? Each of these beverages can be seen accompanying steaks around town on a nightly basis. I know that everyone has different taste buds, but the thought of something sweet and effervescent mingling with a medium-rare New York Strip? Yikes! amount of others that to my palate don’t work well at all. Being someone who rarely drinks wine unless accompanied by food, I frequently experiment, looking for flavors and textures that blend well. The texture of a wine (crisp and acidic or rich and full-bodied) says a lot about which dishes it will pair well with. Below are some pairings that always work well, and some that just don’t. I’ve also included some different ideas that have been successful for me in the past. Crisp white wine with raw shellfish. Icy cold Kumamoto or Barren Point oysters, freshly shucked and seasoned with a touch of hot sauce and horseradish, are elevated to knockout status when put together with one of the following: 1) Muscadet from the western Loire Valley in France; 2) New Zealand sauvignon blanc; 3) Albarino from the northwest of Spain or 4) An unoaked Premier Cru Chablis (my favorite). Red Bordeaux with Lamb. A dream match. Both Bordeaux and lamb work well with other partners, but never as well as when they are side-by-side. I particularly like Right Bank wines (St.-Emilion or Pomerol) with my medium-rare rack of lamb, sprinkled with rosemary (hold the mint sauce). 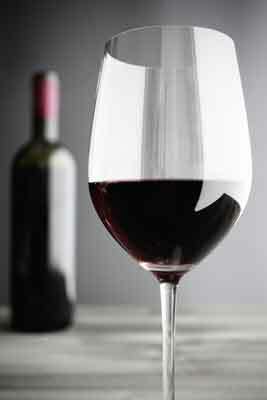 Reasonable substitutes for Bordeaux might be a Ribera del Duero from Spain, or a malbec from Argentina. Barbera d’Alba with Tomato and/or Meat-Based Pasta Dishes. When tasted by itself, barbera from Piedmonte in Northern Italy, will never win any awards. Sharp fruit, high acids, biting finish. Take this same wine and hook it up with Penne Bolognese (other choices might be Linguine or Fettuccine in an Arrabiata or Marinara sauce), and it turns into the Wine of the Gods. Big, Rich Red Wine with Cheese. As the years go by, I’ve come to think that red wine and cheese are not necessarily the best of friends. Sometimes full-bodied reds, such as cabernet sauvignon or syrah, can overpower a cheese, unless the cheese has hair growing on it. Next time, you might try a white with your cheese course. Loire Valley whites mesh well. Try Sancerre or Pouilly-Fume with goat cheese, which is actually a classic pairing in France, but rarely seen here at home. Another, albeit less known, pairing is demi-sec chenin blanc like a Vouvray or Coteaux du Layon with salty blue cheese, such as Roquefort or Fourmes d’Ambert. Sublime counterpoint. Champagne and Caviar. Dry, yeasty Champagnes, like Bollinger or Pol Roger, always seem to fight against the salt. I always recommend Rose Champagne with caviar. The strawberry/watermelon tang in a really good rose (like Billecart-Salmon or the l’Hermitage from Roederer in California) brings out the best in both sides of the equation. Foie Gras and Sauternes. Sorry, I still don’t get this one. Sauternes is just too rich and sweet a wine to put with any savory food. 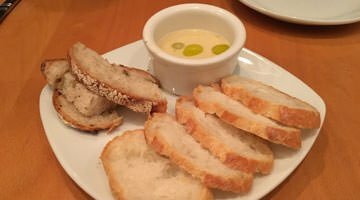 Once you taste fois gras with a great gewürztraminer such as Cuvee Theo from Weinbach or the Londer gewurz from Anderson Valley in California, you’ve hit the fois gras pinnacle. White Wine with Fish. White wine is OK with fish, especially lighter white fishes like flounder. But what about when tuna, salmon, grouper or halibut come into play? What works better for me is a lighter pinot noir (no 2003’s from Oregon please), or even a Cru Beaujolais, like a good Moulin-a-Vent or Chiroubles. These reds retain the sharp acids needed to break down the oils found in a fish like salmon.
. Pork absolutely sings with Zinfandel. Marry a juicy, full-blown zin like St. Francis Old Vines or Renwood Grandpere with bratwurst, schnitzel, sauerkraut and spatzle and you’ll hear an aria. I make a somewhat unorthodox stir-fry. I thrown in commonly-accepted ingredients such as bean sprouts, snow peas, sesame oil, soy sauce, tofu and Asian spices, but deviate by using Italian vermicelli as my noodle of choice. The key wacky addition is a spicy Indian curry paste called Patak’s Madras, which includes cumin, coriander, tamarind and ginger. No other wine I’ve ever tried blends like a zin with this fiery dish. Ken, have you tried foie gras with a Vouvray demi-sec? Pretty damn good! And actually, a plain steak with Chardonnay sounds weird, but it works! I’ve always found that you can nail a wine/food match (if it’s accurate to start with) by including some of the wine in the dish: e.g., in Ken’s excellent suggestion of Barbera with tomato and/or meat-based pasta dishes, add some of the Barbera to the vegie/meat saute and blow the alcohol off over medium-low (not high) heat before you add tomatoes or other liquid. I know a lot of chefs use the highest possible heat to reduce wine, but I follow Madeleine Kamman’s dictum that you need to reduce wine at a simmer. That method retains much more of the wine’s character. I also agree with her that you get better-flavored sauces when you reduce wine and stock separately then combine them, rather than reducing them together. Ken, I totally agree on the Champagne and Caviar thing. I think people want things like that to match (as well as Champagne and chocolate…an awful combo) because they perceive them as being “romantic”, but they just don’t work together. The big, point-scoring reds never seem to match well with cheese (or with my palate), but good Burgundies, Loire Valley reds, Beaujolais and rustic Southern French wines seem to work well with a variety of cheeses, especially when matched with good bread, olive oil and salami. I agree with Pascal on the foie gras…I prefer a fairly sweet wine (Demi-Sec to lighter Moelleux Vouvray, Spatlese or Auslese German Riesling, a lightly sweet Alsatian Gewurz) to a really over the top Sauternes, but then I like other dessert wines better than Sauternes anyway. Maybe it doesn’t float your boat like it does mine, but there’s no better combination with rosemary lamb chops than a Tempier Bandol of medium age (10 years or so). It’s such a good match that it’s often hard to tell where the food ends and the wine begins. We will come over to your house to sample the Medium aged Tempier Bandol! it’s an intersesting phenomenon in the world of bad pairings, when you’ve got someone so amped on a given bottle that they’re willing to try it with anything…even going so far as to trying to convince their friends that in fact, they are crazy for suggesting that their 89 Lynch-Bages won’t sing with the oatmeal. while it’s one thing to mistakenly make bad pairings (like champagne & chocolate), it’s a fairly perplexing irony watching (often times seasoned wine pros) sacrificing good bottles for these usually awkward, lackluster meal pairings wherein nothing (neither food nor wine) gets to shine.